“The Streisand Effect” refers to an attempt to censor a piece of information that backfires because it brings more attention to the information than would have occurred without the attempted censorship. Thank goodness they finally got rid of this guy. He was the worst hire the company ever made. Here’s what I have to say about that: I like to think it could very well be true. I like the idea that there are some people who took a good hard look at the history and said, ‘Yep, this guy was terrible, he almost destroyed the place, good bye and good riddance!’ Because that would mean that I was in a position to make some important decisions, and that I made decisions at the risk of being unpopular – that I did much more with the opportunity than just quietly collect a paycheck. Now, please don’t misunderstand this: I’m not saying that the critics are wrong, that they don’t understand, that I was both righteous and right. 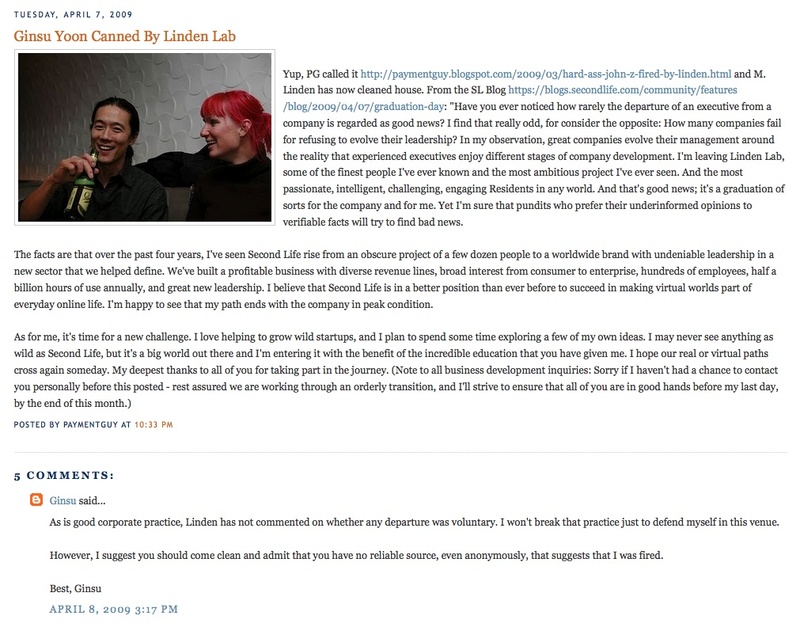 Even my own review of my Linden tenure welcomes ambiguous judgment. Obviously, I think and I hope that I did good things, but I could certainly be wrong, I could certainly be delusional. But the one thing I don’t want to be is simply in the middle. I don’t want anyone’s assessment to be, ‘Well, he was neither among the worst nor among the best, he was just there and he didn’t do a damn thing.’ To me, that’s a lot worse than being the worst. the post in question prominently links back to this blog post. Simple enough, yes? Forget Streisand, I call this the Safety Dance. Don’t lie Sam. It was me.